The old saying, You can fool some of the people some of the time, but not all of the people all of the time, could be an appropriate tagline for Sour Grapes, touching as it does on the gullibility of many of the people Kurniawan defrauded thanks to his superior knowledge of wine. Kurniawan’s ability to name-drop famous rare wines – and state that he’d drunk some of them – never failed to impress, even when he mentioned a number of vintages that one of his “marks” had failed to buy in twenty-five years. Another saying springs to mind as well: If it sounds too good to be true, then it probably isn’t. 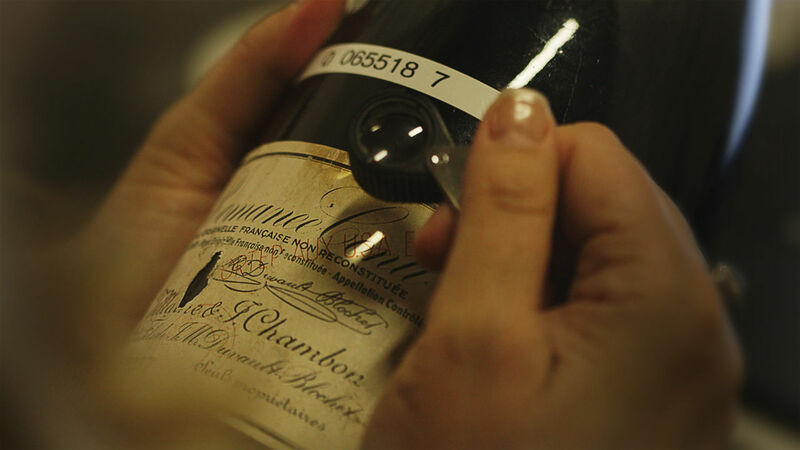 But all this happened in the wake of the boom years of the Nineties, when money was no object, and wine collectors thought nothing of paying tens of thousands of dollars for a single bottle. With such a culture of excess, it shouldn’t be a surprise that Kurniawan fared as well as he did, and the movie paints a compelling portrait of the symbiosis that was fostered: each side used each other for their own ends and personal gains. As well as providing a great deal of subdued social commentary, Rothwell and Atlas have gone about telling Kurniawan’s fraudulent behaviour in a way that mimics a detective story. With his origins and his background shrouded in secrecy, the directing duo tease out clues at various stages and there are moments that wouldn’t feel out of place in a true crime show. 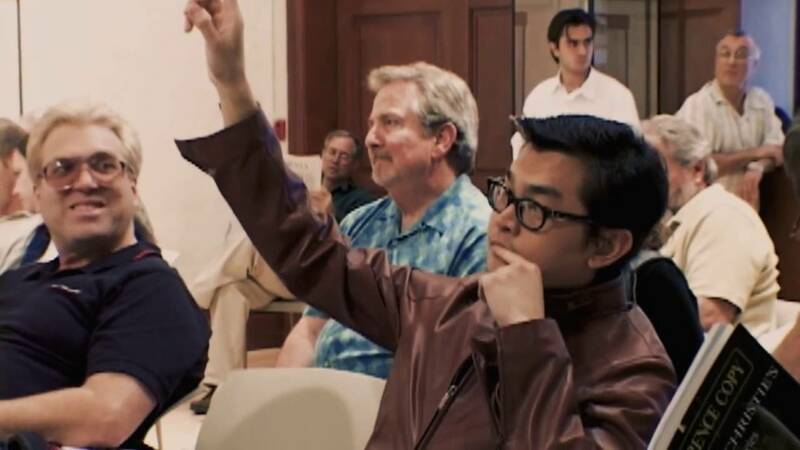 Featuring interviews with the likes of Brad Goldstein, who mounted an investigation at Koch’s request, and Brown, who was the first journalist to question Kurniawan’s conspicuous wealth, the movie hits its stride once Ponsot becomes involved. A genial Frenchman with a wry sense of humour, Ponsot is the man who cries foul publicly, and then befriends Kurniawan in order to see if he’s another victim or the man responsible. It’s a moment where life outwits fiction, and in doing so, the movie veers off into a weird alternate reality that culminates in Levy declaring Kurniawan incapable of any wrongdoing. Rothwell and Atlas make sure to present as many different points of view as possible, and even acknowledge doubts that were expressed as to Kurniawan being a lone counterfeiter, but this is a fairly straightforward case that’s told in a fairly straightforward manner using a mix of interviews, contemporary footage (in which Kurniawan features a lot), and restagings of key events that emphasise just how different things were only a decade ago. 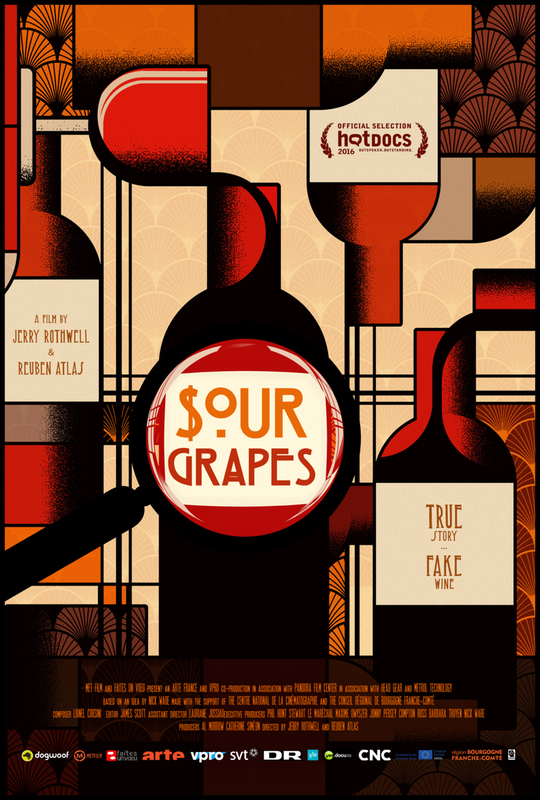 Rating: 7/10 – an absorbing movie for the most part, Sour Grapes still has to work hard to find the victims in what Kurniawan did, and more importantly, his motivation for doing it; an excellent case of Buyer Beware, there’s a measure of humour to be found when we discover that Kurniawan did most of his counterfeiting in the kitchen of his home in Arcadia, California, and a sense of amazement when the potential source, and scale, of his wealth is revealed late on.